You don’t have to bundle up with heavy boots, scarves, mittens, and countless layers from head to toe and head outside for hours of exhausting snow shoveling. Not only is it back breaking labor that will exhaust you physically and mentally, it will take hours for you to make a dent in the heavy snowfall we get out here. There’s just no need! 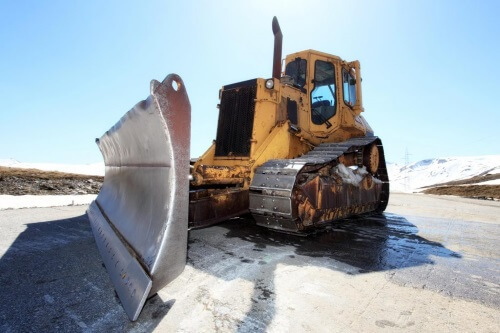 We at Brockton Snow Removal have top of the line snow plowing tools and equipment to make your snow removal needs a cinch. Our team of professionals are trained in all the proven ways of ice control and fast snow removal so you can get out of your home safely and quickly. If you’re a business owner or manager, they also ensure that your customers and employees can get in and out of your commercial property smoothly and safely, without the fear of slipping, tripping, and falling that a heavy snow brings. Our snow removal service is fast, affordable, and available throughout the Brockton, MA area to make winter life far more easy and fun to enjoy. Snow can be a lot of fun, and there are many ways to enjoy it, but we get so much of it here in Brockton that it can be overwhelming. So much snow can ruin our day by putting a complete stop on activities like driving to the grocery store, getting out of your driveway, walking down the road, or even getting into your car. A little bit of snow is fine, but we get an average of 43 inches of snow a year! 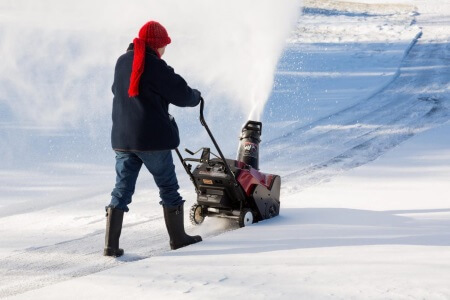 This is why professional snow removal services like us exist, and when you need a fast and reputable snow removal company here in town, there is just one service that leads the pack. Brockton Snow Removal provides full snow management services, from snow plowing your driveways, sidewalks, and streets, to removing snow from your house’s rooftops. There’s no need to fear expensive damage from water, snow loads, and ice when you’re serviced by our team. We’re here to help you avoid damages, accidents, and injuries so you can truly enjoy the snowy season. If you’re looking for a full service snow removal company that provides both on the ground snow management like snow plowing as well as removing snow from your rooftop, look no farther. There isn’t another company in the area that can provide such efficient and reliable service like Brockton Snow Removal. We take our work seriously, and are proud of the service we provide for our community. While fun, excessive snow is dangerous and causes a lot of accidents, and we take a lot of pride in helping to keep pedestrians, motorists, homeowners, and business owners alike safe from the dangers heavy snowfall can present. It seems like news reports of terrible wrecks, falls, and injuries are always a frequent affair during heavy snowfall when people don’t take it seriously. 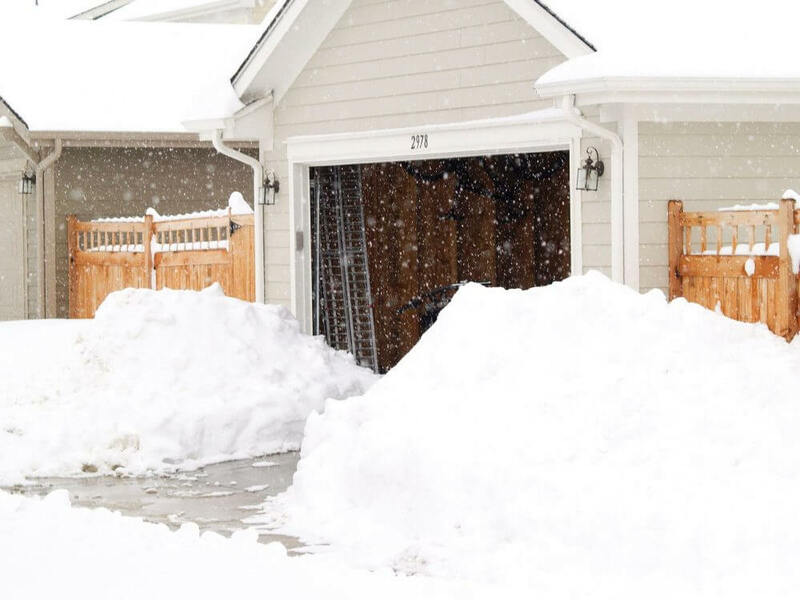 You can avoid these types of situations by simply being proactive when it comes to snow removal and management by calling us to take care of all your snow removal needs. It’s a quick fix that will help you stay safe from dangers and protected against damages. If you own a beautiful home with sidewalks, paths, and walkways that you use year-round, heavy snowfall can really put a stop to you enjoying your property as you usually do. 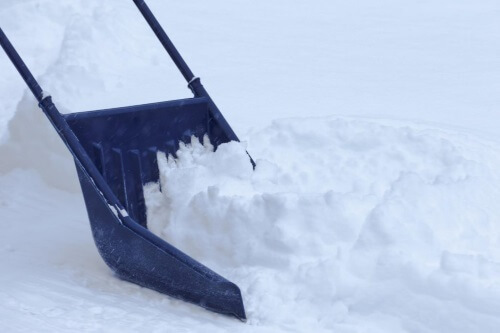 We can clear those paths and sidewalks so you can continue to use your residence normally without interruption. Because of where we’re located, we get heavy snowfall every year. That means tons of snow blanketing everything and a lot of ice. But you don’t have to resort to bundling up in a dozen different layers and doing the backbreaking labor yourself. Nor do you have to invest in an expensive piece of equipment and learn to operate and maintain it on your own. Instead, you can simply hire us to manage your snow and ice for you. Parking lot of yours is a key feature of your commercial location, and when it’s buried beneath a heavy coating of snow and ice, business will suffer and customers will go somewhere else. And any business knows that it’s much harder to get a customer to come back than it is to keep them. For this reason and others, we consider it vital to hire a fast and reputable snow removal service that will snow plow your parking lot and walkways. This will ensure your business continues strong, even in the middle of a harsh winter. When other stores and commercial properties are covered in snow, your freshly cleaned parking lot will make you stand out as a safe and convenient store. “Our customers were having trouble parking and getting into the store due to all the snow, so we called Brockton Snow Removal for regular snow plowing. They are reliable, affordable, and did a great job every time. Business is good!” - Michael M.
A beautiful driveway is a great property feature but it’s not so great when it’s covered by so much snow that you can’t safely leave your property. Brockton Snow Removal has just the solution you’re looking for. We provide full snow plowing services and ice prevention methods to help keep your driveways clear you so you can enter and exit your property safely. Ice control service is without a doubt one of the most important aspects of your snow management plan. Snow causes many of the damages and injuries associated with our harsh winters, for both pedestrians and vehicle drivers. Cars will slip and slide on ice, injuring other vehicles and harming bystanders. It will also cause you to slip on your way to the mailbox or to your vehicle, or on the way inside with the groceries in hand. Many broken bones and injuries can be blamed at a little bit of ice on the ground. If you’re a homeowner, it can lay you off for weeks or months, and if you’re a business owner, it can be a huge liability. 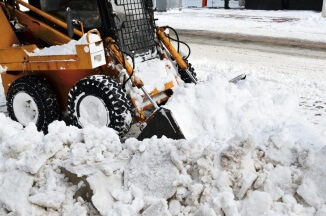 Brockton Snow Removal has effective intervention and and prevention methods to limit the chance of you slipping and falling, damaging your vehicle in an accident, or having a liability issue at your commercial property. 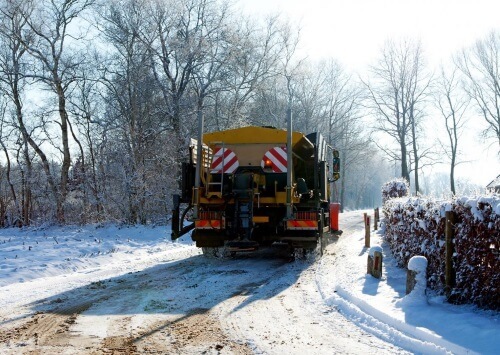 Our methods are both proven and safe for all types of pavement, sidewalks, driveways, and roadways, so you can relax and trust that your snow management is in the hands of true professionals. “Since our children have all moved out, we’ve had trouble keeping up with the snowfall. 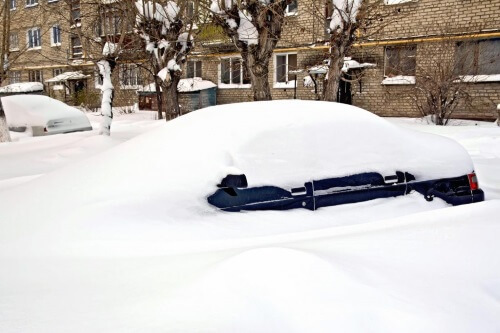 Now we just call Brockton Snow Removal and ask them to come by whenever we need, and they do!” - Susan C.
What do you do when your car is fully snowed in? No need to resign yourself to hours of freezing cold and tiring labor as you free your vehicles. 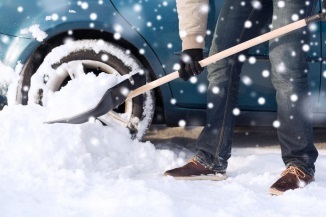 Just call upon us at Brockton Snow Removal at any time for car snow removal whenever a heavy snowstorm hits the area. We’re the easy solution to a frustrating and time consuming problem. We’ll have your vehicles free and ready to go quickly and efficiently. Roof of yours is built to support a lot of weight and to withstand the rough weather in our area of Brockton, MA, but not all roofs are able to handle endless heavy snowfall. 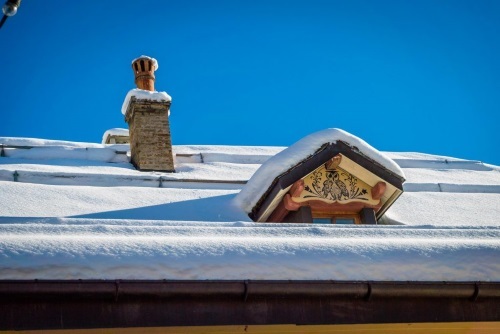 Flatter roofs can have trouble with bearing the weight of the accumulated snow, and even more steep roofs can have issues when snow is left sitting for long periods of time. The last thing you want is to come out of the winter season with serious roof damage. We strongly encourage you not to risk your health and safety attempting to remove it yourself with a rake or shovel. Not only are you likely to injure yourself, you can seriously damage your roof as well. We have specialized roof snow removal equipment that was engineered to keep your roof in good shape through our winters. Combined with years of experience, we’re more than capable of managing your roof snow. “We called Brockton Snow Removal a few times this season because of the heavy snowfall and they did a great job each time. Stacy and I are both glad our roof climbing and shoveling days are behind us.” - Richard and Stacy T.
Please feel free to contact us at any time of the day or night for your snow removal. We offer full 24 hour services to make sure we’re always available when you need us. Unfortunately, snowstorms happen at all hours, not during the most convenient times. Whether you’re a homeowner with places to go or a store owner, it’s critical that the snow doesn’t slow you down or stop business. We're even on Facebook! We handle everything from sidewalks, winding driveways, or parking lot, we will assist you quickly and efficiently. When you contact us you can be confident that we’ll get the job done right, and won’t stop until every area you need cleared is safe and clear.